This is, I believe, one of the finest books ever written. 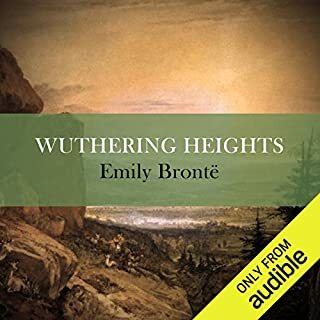 That it was written by a young woman near the end of her short life - Emily Bronte was 30 when she died, Wuthering Heights wa published the year before (1847) - makes it a testament of an understanding of human passion. Because the story tells of the effect of the entwining passion between Cathy and Heathcliff upon every character in the book. Bronte's prose is magnificent, though that which is written in dialect is much clearer as read by Patricia Routledge. Do not expect an easy or a comfortable story. It is wild and dark and beautiful withall. The listener must work in order to find the book's magnificence - but do work, there is so much to discover. A huge compliment to Patricia Routledge's reading. She brings such reality and clarity to the story. A book that starts slowly and gains moderate momentum towards the end. No deep characterisation, though enough to explain each character's role in the story. It is important to bear in mind that all 3 narrators are unreliable, presenting events from their personal perspective only. Each reader portrayed their character very well. No, not better. Each one has so much to offer the person reading or listening. Both are intimately connected to Richard Flanagan in a remarkable way. 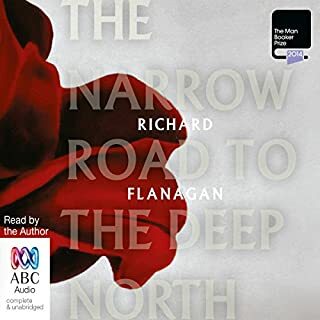 What other book might you compare The Narrow Road to the Deep North to and why? I have not read a book quite like this one. Richard Flanagan has written so sensitively about human relationships - between people - and within oneself. The way he writes challenges the reader/listener to reflect on their own experiences, even if that person does not recognise what is happening to them as they work through the book. Which character – as performed by Richard Flanagan – was your favorite? For a lot of the book I was drawn to Darky Gardiner; and I was shocked to discover his origins. The revealing of his story, was as ironic as it was loving. In the end, I had the greatest warmth for Amy. 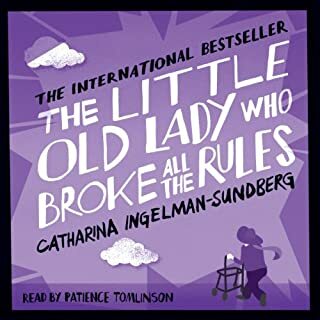 Her bewilderment, her illness, her life, mostly unexpressed after the early part of the book, brought out the caring, nurturing part of my soul. I felt good thinking about her. I was so very impressed with the way Dorrigo Evans' story is brought around at the end of the book. Such sensitive and insightful writing. I was deeply moved to hear Richard Flanagan reading his book. Many authors are far from being adequate narrators. RF, using a flat voice, with very little intonation, allowed the characters to reveal themselves without any veiling. What made the experience of listening to The Monogram Murders the most enjoyable? The story. I think that Ms Hannah has captured the essence of Agatha Christie's story telling style. There is a lot of reliance on dialogue to move the plot along, always interspersed with Poirot's egomanic claims that HIS little grey cells are superior to his offsider's! The only 2 comments that I make about the book, is the setting is not a classical Christie setting - elite hotel, aristocratic home or simple English country village. (Indeed the village in this story bears more relation to Midwich that St Mary Mead!) The other comment is that the writing is a bit more detailed than I am used to with Agatha Christie, making the story a bit too long. However, neither of these was a significant barrier to my enjoyment of the book. 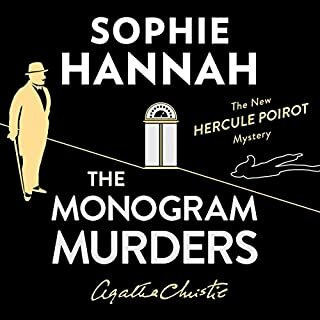 I congratulate Sophie Hannah on an excellent replication of a Hercule Poirot tale, and await her foray into Miss Marple's world. Not on the edge of my seat, any more than one of Agatha Christie's stories did. What it did do well was to get me to exercise my little grey cells. I thoroughly enjoyed the many and varied red herrings as they trailed across the story. Have you listened to any of Julian Rhind-Tutt’s other performances before? How does this one compare? I haven't heard Julian Rhind-Tutt previously, and I thought that his personification of Poirot was especially good. I liked his voice and the pace at which he read. One problem that I did have was that he varied the volume of his voice rather too much, and that even with earphones that sit inside my ear, there were times when I had to turn the volume of my iPod very high (if I had time) and then, when using hie regular voice, it was much too loud. No extreme reaction - a quiet delight that there is someone who can write a good copy of Agatha Christie's style. Norman Stokoe has just been appointed Children's Czar by the new government. He sells his flat and moves up north to take up the position. However before his first salary cheque has even hit his bank account, new priorities are set for the government department for which he works. The Children's Czar network is put on hold but it is too late to reverse the decision to employ Norman. So he is given a P.A. and a spacious office in a new business park on the banks of the Tyne. He settles down in his new leather chair behind his new desk, to wait for the green light to begin his mission. 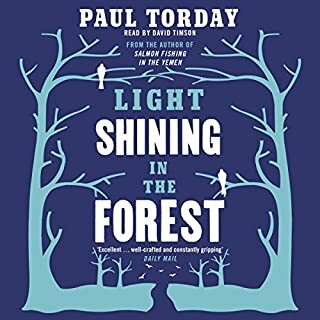 Would you consider the audio edition of Light Shining in the Forest to be better than the print version? I haven't read this book, I have only listened to it. Has Light Shining in the Forest turned you off from other books in this genre? I don't think it is very easy to slip this book into a genre.The story is horrible, macabre, bizarre - in the class of weird that I put M J Hayder - but it is not only that. It is more; and more important.The motif of unaccompained children being taken by someone that they know, rather than a stranger is very, very unsettling. All the more so when the listener realises the reason behind the kidnappings. What happens to the children is not dealt with in any detail, and if it were, it would be unbearable. BUT - This book is written by a man who clearly understands the machinations of the Public Service, in particular, its awful failings and bureaucracies. He very cleverly juxtaposes these with what is happening to the kidnapped children and how The System fails them. And fails them very badly.He also shows how the system, being amoral, can never be changed nor overcome by an individual; and so, in the greatest irony of all, the listener discovers that Norman, the Children's Czar without a job but who cannot be removed from his public service post until he transgresses the public service codes, Norman then enters that other massive and amoral bureaucracy - the Roman Catholic Church! If you could rename Light Shining in the Forest, what would you call it? Only to a friend who a) really liked drawn out mystery/thrillers; b) needed an audio book that lasted a long time - ie someone who was travelling a long distance/time; c) had a lot of patience and d) is very open-minded about sexual dysphemisms.This is because this story, although filled with murderous and ghoulish twists and turns, moves remarkably slowly - and this is different from your average thriller book. 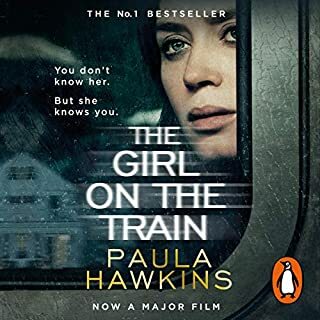 There is a lot of backstory in it, which is interesting and to some extent useful, but it seriously interrupts the flow of the front story.Amy, the female protagonist is a particularly nasty woman with a sweet affect and a pitch black soul. Her various sexual images is disturbing and, was for me, unpleasant. Amy's plot(s) were ingenious. Amy's back story was almost irrelevant. The interview that Nick does with Rebecca in the pub. 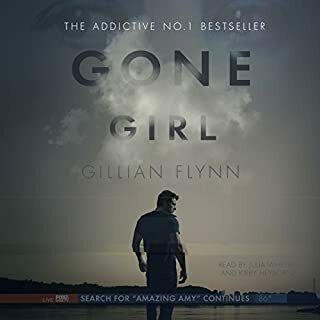 Could you see Gone Girl being made into a movie or a TV series? Who should the stars be? Not without a lot of editing and shortening of the story. I don't think it has enough to carry a TV series, other than a 2 or 3 parter that tells the story in some detail.I am not very au fait with current stars, so am not able to comment on who would be good currently. From yesteryear - I think Amy was almost written for Joan Crawford and the hapless Nick could be played by James Stewart or Kevin Spacey. The essence of this story is excellent. The twists and turns were not easily predicted, usually, and there were a lot of them. My difficulty was that it went on and on, and much of what was told did not take the actual tale any further forward. It was a lot of reflecting by one unreliable character about the other, equally, unreliable character. The opinion of one of them about the other was not often helpful. The format, of Nick and Amy speaking in the first person was very good. Neither of them are reliable narrators, both of them lying frequently but undetectably.The readers were very good. They brought the characters to life vividly.If you have a long time to fill in, or simply enjoy an almost neverending story - then this would be an excellent choice. 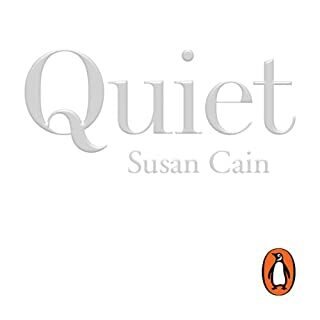 Would you consider the audio edition of Quiet to be better than the print version? Using the audio edition meant that I could have the programme running more than I would be if I were reading. However, when using audio, it is much more complicated to turn back/go back to something that is referred to in an earlier chapter. I think that the listener/reader will have to choose according to their personal situation. There is no story - this is a book about psychology. I thought that she read very well. Her voice was clear, her pauses were enough to allow me to absorb the information. This could only be made into a documentary and as such it would be terrific with the name and tag line that it already has. What did you love best about Joseph Anton? It's immediacy.And it's sadness.In doing what was his passion and his purpose, Salman Rushdie was condemned, not just by the fatwa, but by many colleagues and countrymen who accused him of doing it for the publicity! What was one of the most memorable moments of Joseph Anton? The decision to have a baby and then the birth of that baby - Milan. It spoke of hope in a very hopeless place. A place that then grew more hopeless as the marriage that produced Milan broke down. Yet Rushdie expresses an eternal hope in the love that he bears for both his sons. Which character – as performed by Salman Rushdie and Sam Dastor – was your favorite? Salman Rushdie himself. Resenting being called Joseph Anton and yet thinking how clever he was to have devised it- too clever for his minders, who then called him Jim! His patience with his situation and the occasional outbreak of frustration. His bewilderment as other people seemed to misunderstand and to resent what was happening to him and how much it was costing to maintain 24 hour protection for him. His personality glows softly in every word. Both. But neither in an extreme way. I certainly felt outrage towards those who condemned him for The Satanic Verses without reading it - and that included Ayatollah Khomeini. I was also very annoyed by the attitude of the Iranian government who prevaricated about removing the fatwa, even going so far as to say that because Khomeini was dead, it could never be removed. It reinforced my opinion of that regime. This is a long and very interesting book. It has to be as the fatwa lasted from 14 February 1989 to a nominal withdrawal 24 September 1998. Rushdie still receives cards on the 14 February every year from hardliners who declare their intention to carry out the fatwa. He describes this rhetoric rather than a real threat. Born at the stroke of midnight at the exact moment of India’s independence, Saleem Sinai is a special child. However, this coincidence of birth has consequences he is not prepared for: telepathic powers connect him with 1,000 other 'midnight's children' all of whom are endowed with unusual gifts. What did you love best about Midnight's Children? The prose, the prose, the prose. 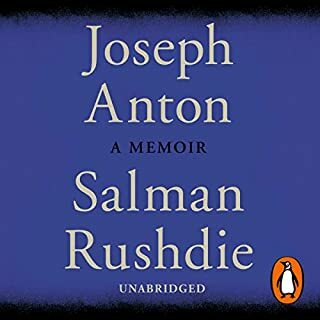 Salman Rushdie has a poetic style throughout this book that is fable and mystery and historical novel in every sentence. 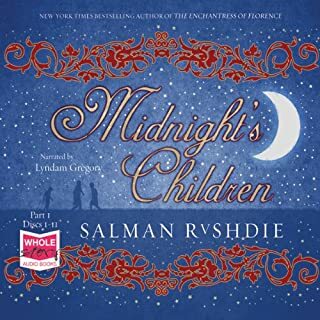 What other book might you compare Midnight's Children to and why? Yann Martel's Life of Pi. Maybe because they both encompass something of the subcontinent that as a Western raised Anglo, I cannot quite hold, but which enthrals me. Myth of any culture is a fascination to me, and both these books have a quality of myth and parable. They demand that I look deeper into everything I know. Have you listened to any of Lyndam Gregory’s other performances before? How does this one compare? I have never listened to this narrator,and I thought he was excellent in portraying the various characters so that they were instantly recognisable each time they appeared. If you could take any character from Midnight's Children out to dinner, who would it be and why? If I had a choice, I would like to eat a meal with all the characters and to watch the interplat amongst them. I didn't feel drawn to one in particular. I may read/listen to this Booker of Bookers another 199 times, and always there will be another layer to peel back. I will not live long enough to know that I have grasped it.